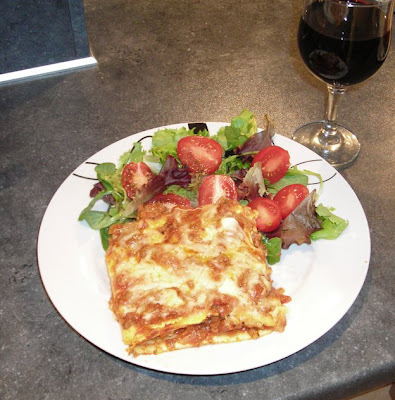 Mark made me this lovely lasagne last night and it really did taste as good as it looks! Mark's nanna is italian so he learns all her special tricks when it comes to cooking italian food. Gorgeous!